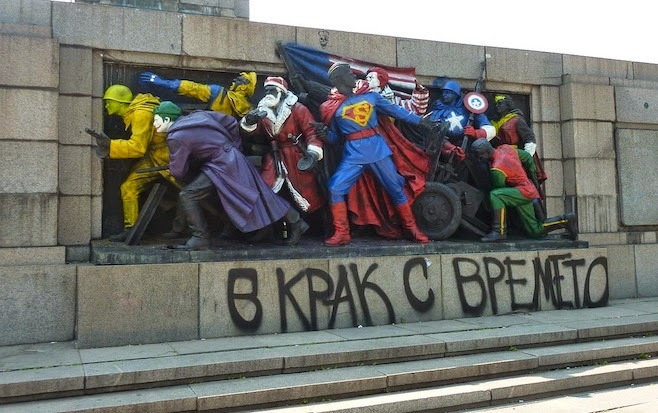 The Russians are mad that Soviet-era monuments are the object of vandalism in Bulgaria. The figures in the monument have been spray-painted to resemble American cultural icons: Superman, Santa Claus, Ronald McDonald, the Joker, etc. I would never advocate vandalism. But as far as protests go, this is fairly creative.